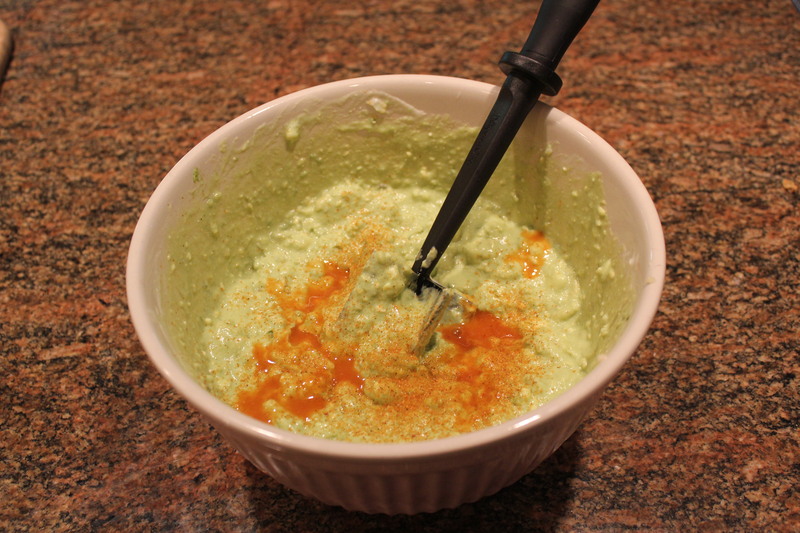 I changed the recipe a bit by adding some chili garlic hot sauce and seasoned salt. 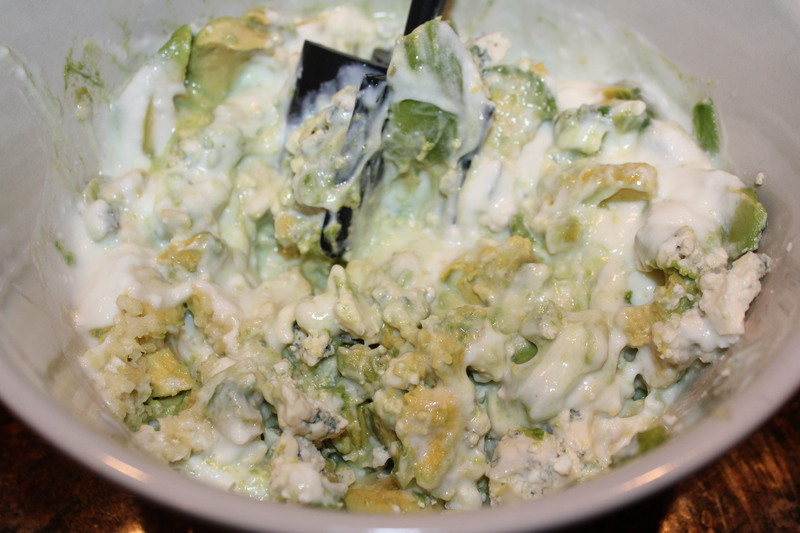 I also increased the amount of garlic as well as the bleu cheese. 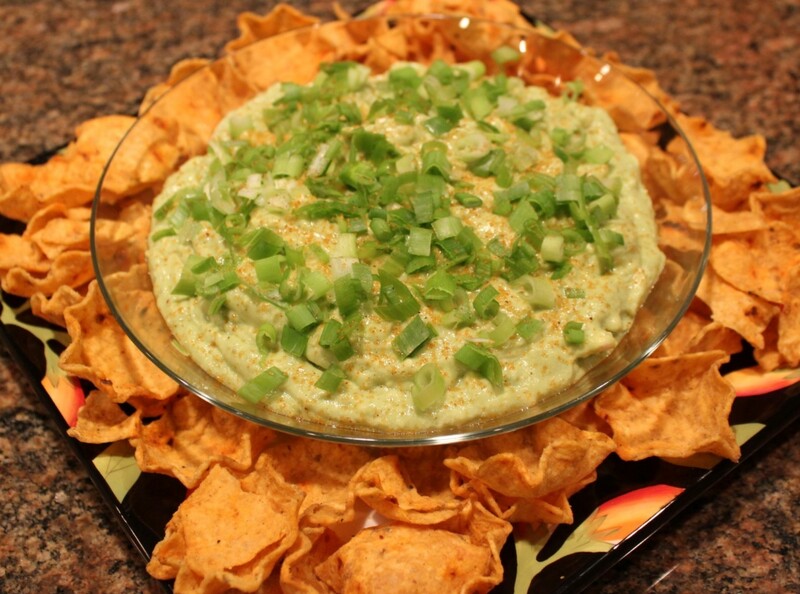 This is a great dip to make for your outdoor summer gatherings, such as Father’s Day, which is coming up soon. 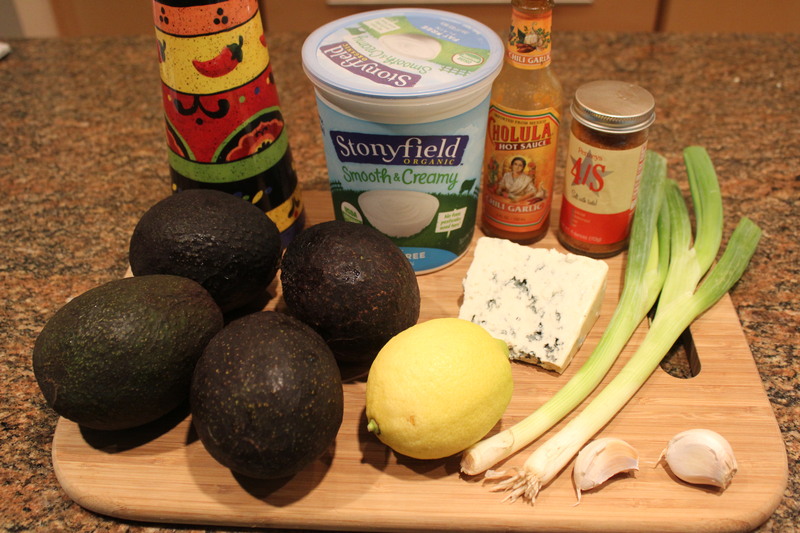 Mix together the avocados, garlic, olive oil, lemon juice, Stonyfield yogurt and bleu cheese. These ingredients should be well blended but still a bit chunky. 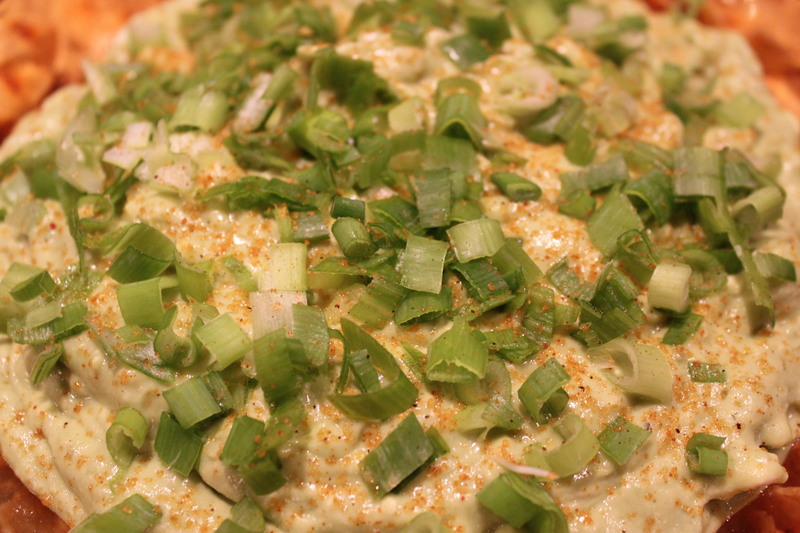 Fold in some of the scallions. Add salt and hot sauce to taste. Refrigerate at least until chilled, or for a couple of hours. Garnish with the rest of the scallions right before serving. Enjoy with chips, fresh veggies, etc. 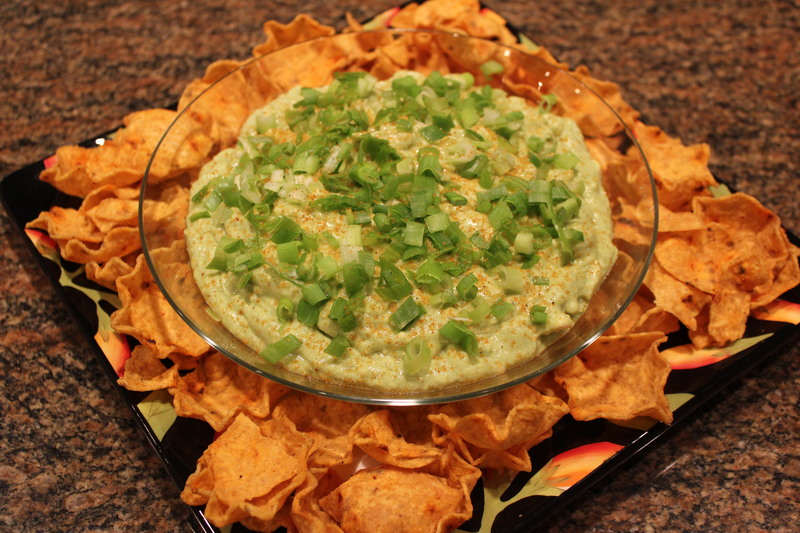 This entry was posted in Appetizers, Recipes, Vegetables/Vegetarian/Vegan and tagged Bleu cheese avocado dip, eat drink and be merry, Guacamole with bleu cheese, Kelley Chisholm recipes, Stonyfield organic yogurt, vegetarian recipes, Yogurt dip with bleu cheese and avocado. Bookmark the permalink.